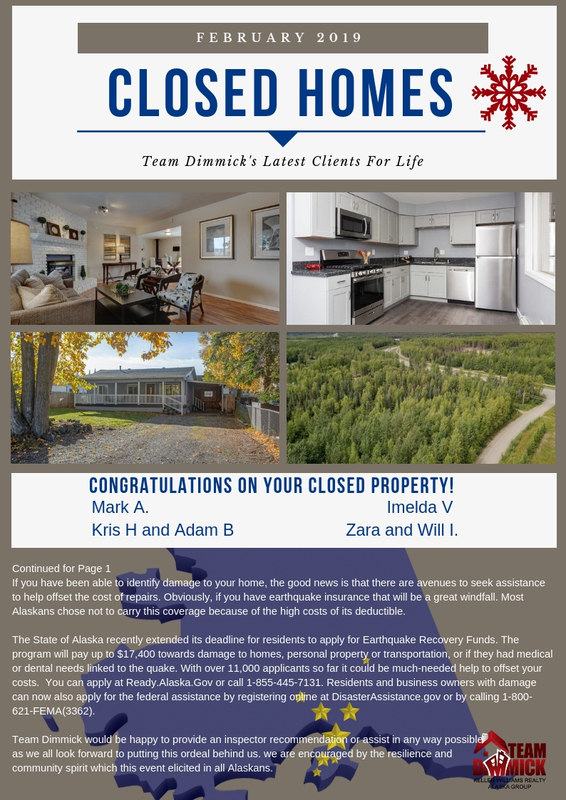 Team Dimmick is Alaska's most innovative real estate team. 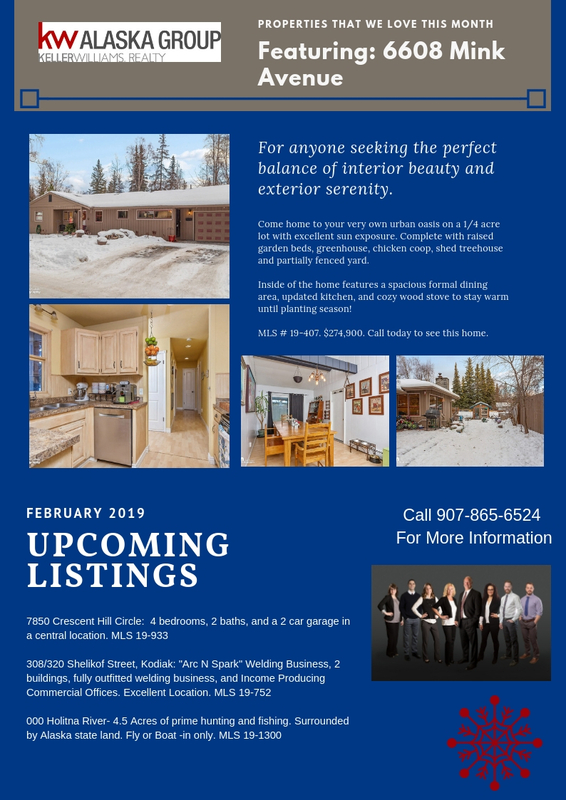 DISCLAIMER: The listing content relating to real estate for sale on this web site comes in part from the IDX Program of Alaska Multiple Listing Service, Inc. (AK MLS). 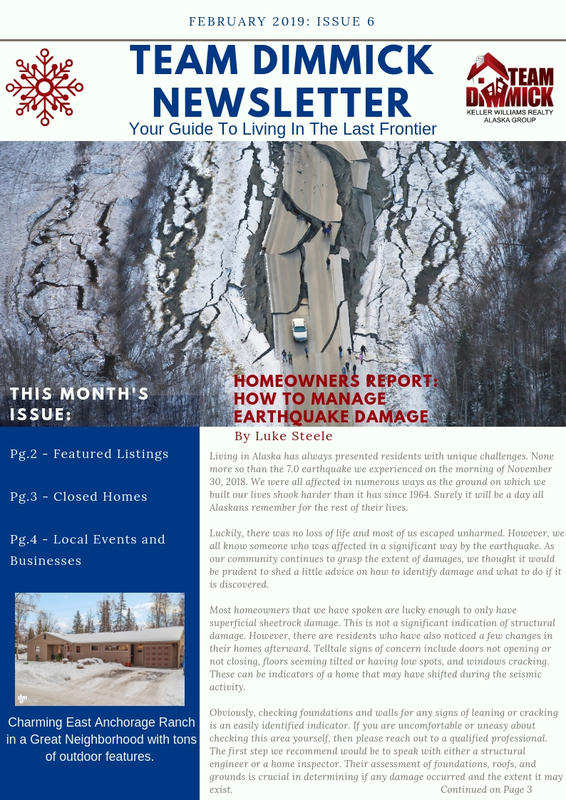 Real estate listings held by brokerage firms other than Team Dimmick | Keller Williams Realty Alaska Group are marked with either the listing brokerage's logo or the AK MLS logo and information about them includes the name of the listing brokerage. All information is deemed reliable but is not guaranteed and should be independently verified for accuracy. Listing information was last updated on: 2019-04-23T14:39:51.603.